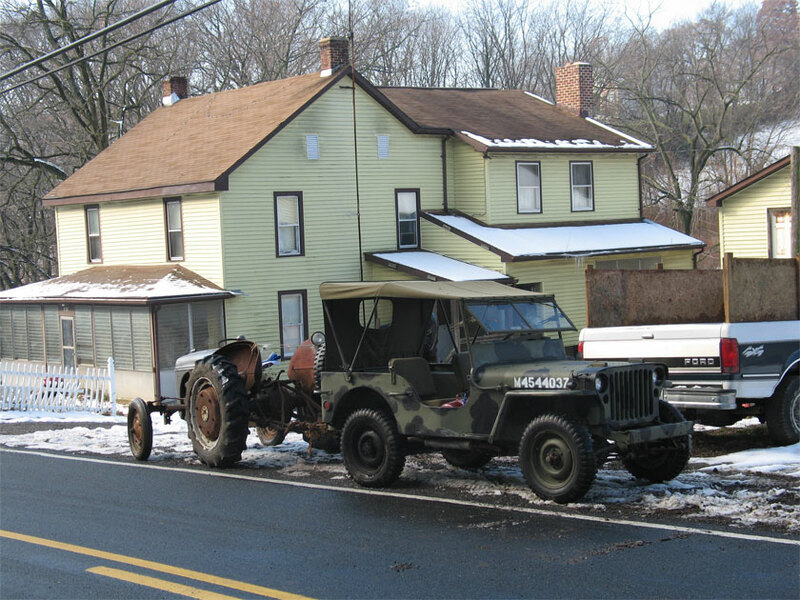 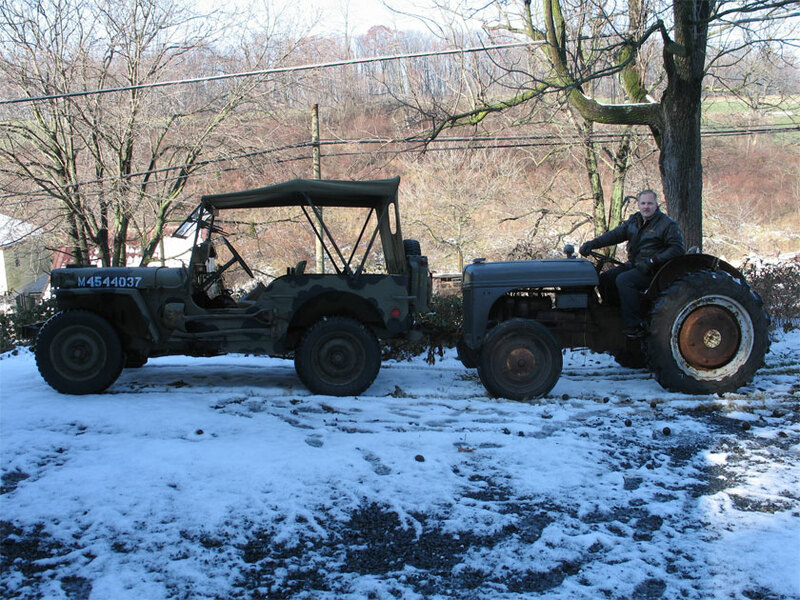 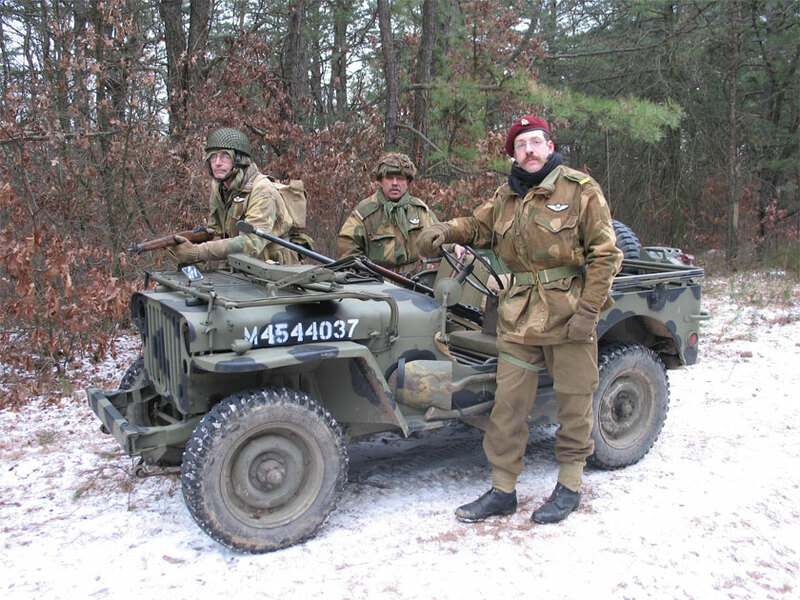 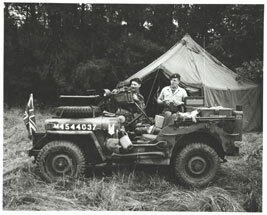 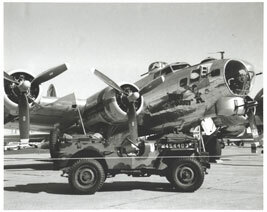 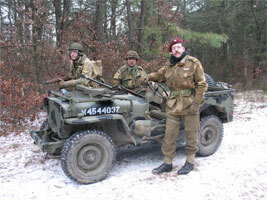 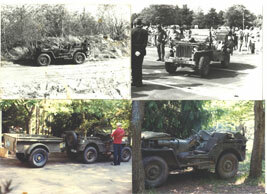 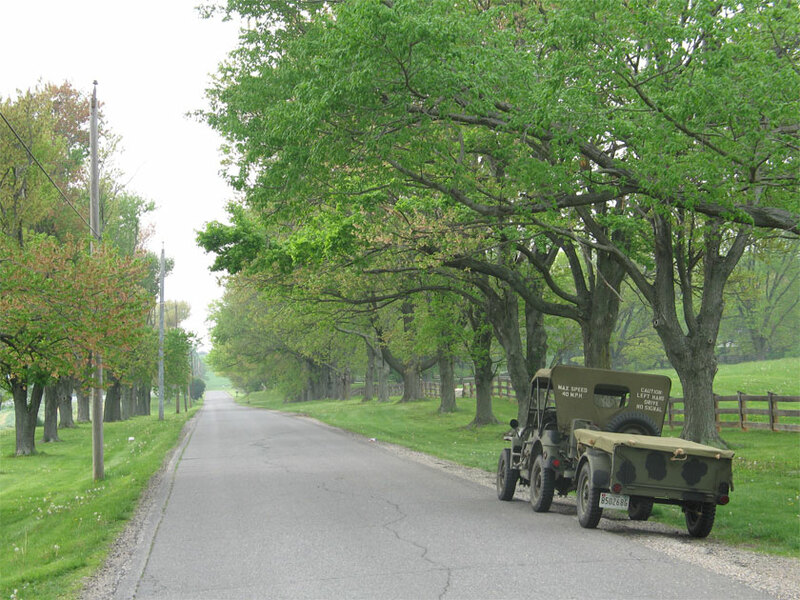 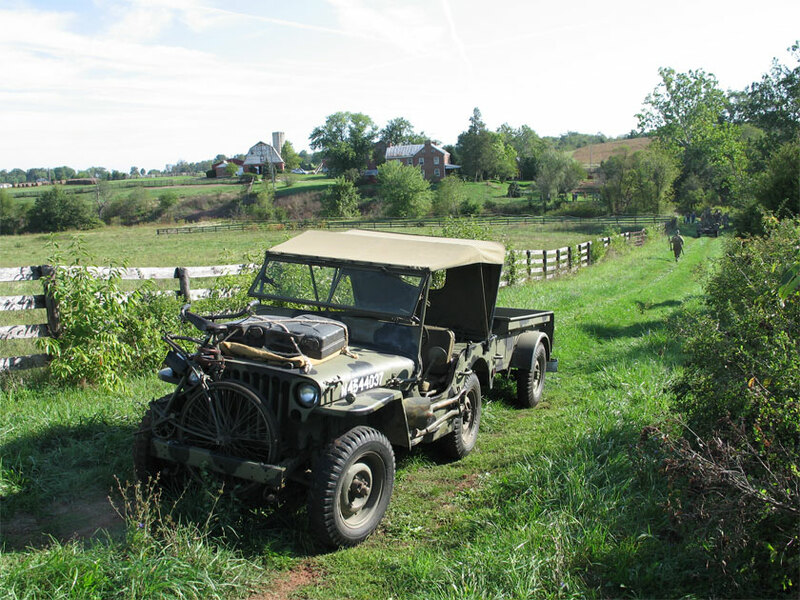 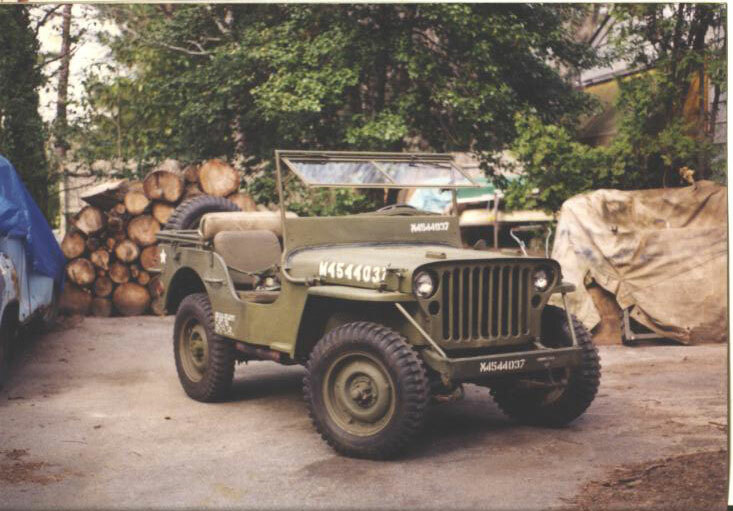 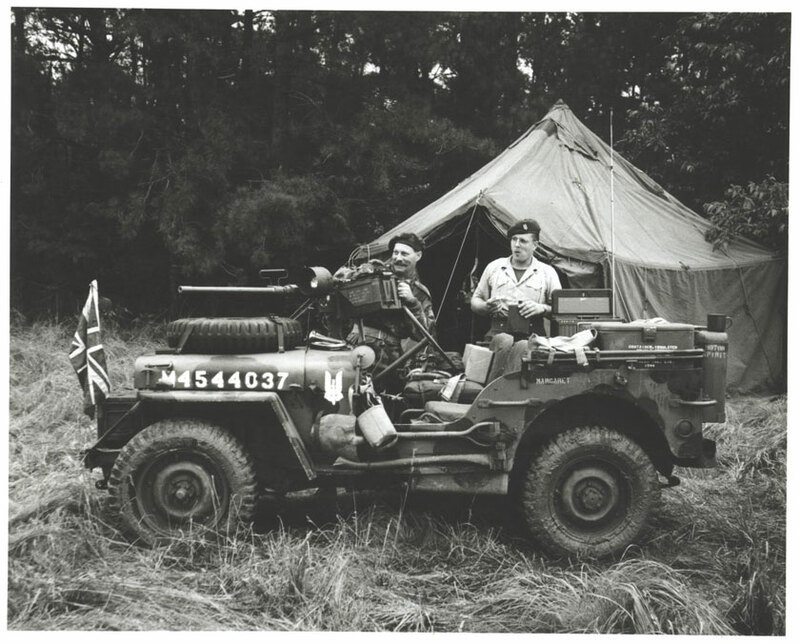 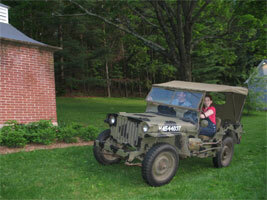 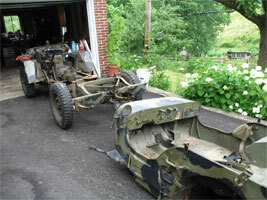 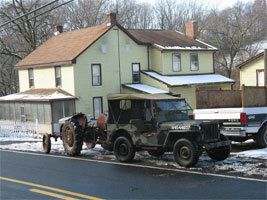 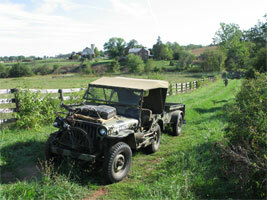 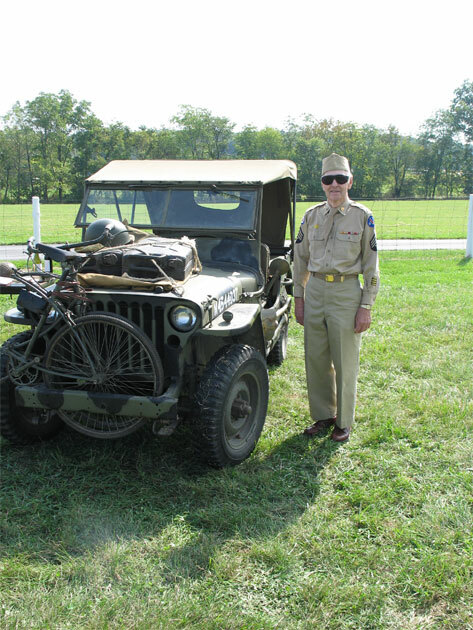 The Jeep prior to camoflauge. 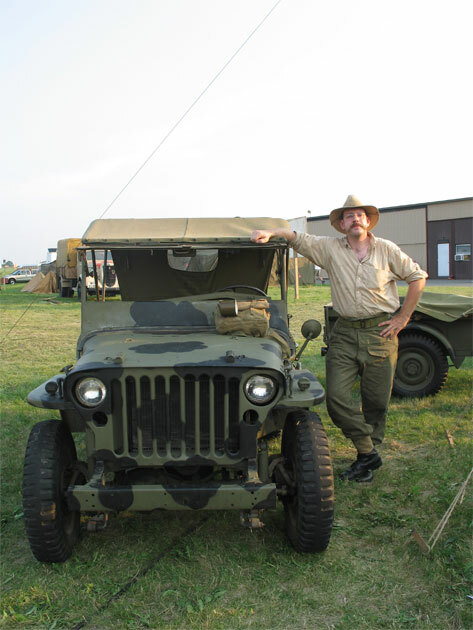 The Jeep at an airshow several years ago. Scott Roberts and Ken Stoddard (at the .50). 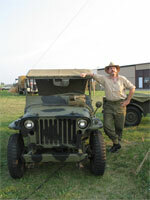 Jeep was painted and setup for SAS. 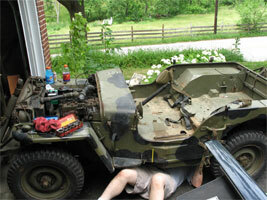 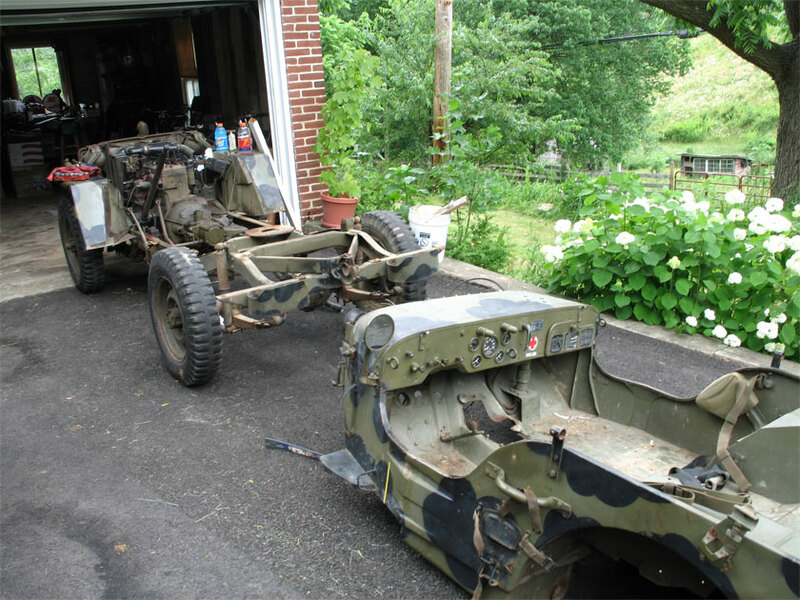 Scott dismantling the Jeep, Summer, 2005. 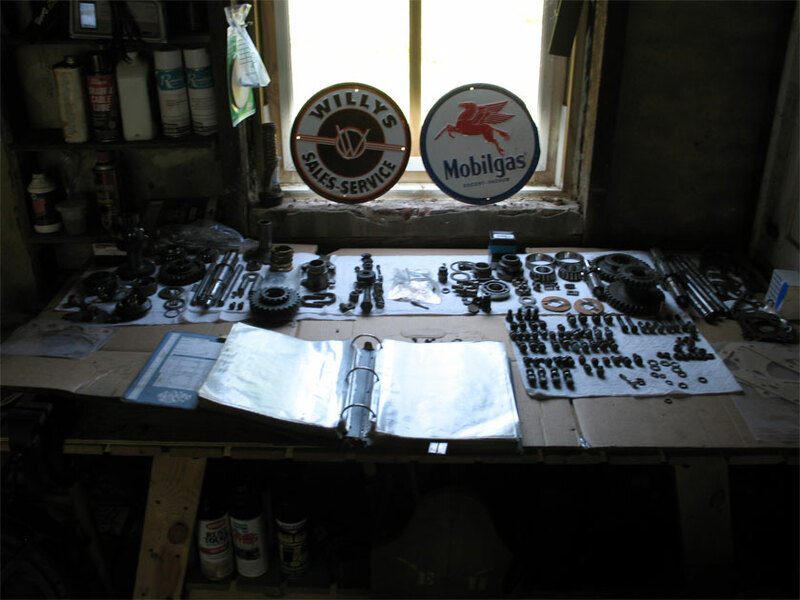 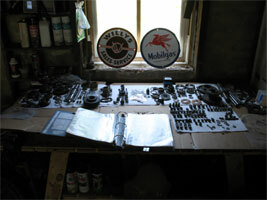 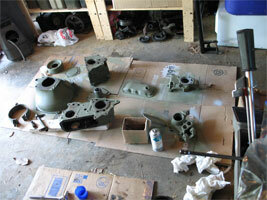 Organization is one key to restoration. 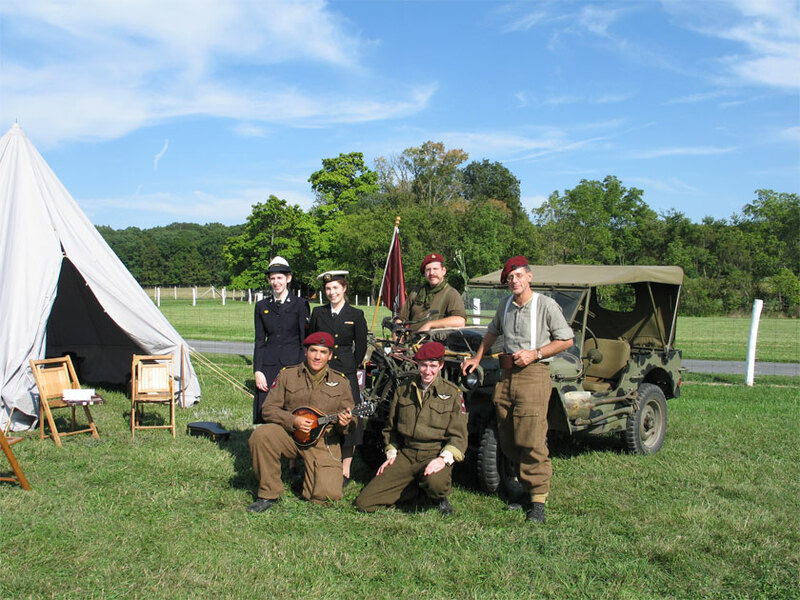 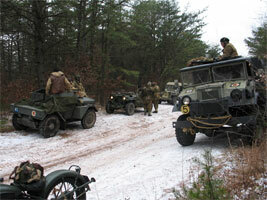 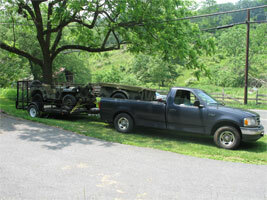 the 2007 Fort Indiantown Gap reenactment. 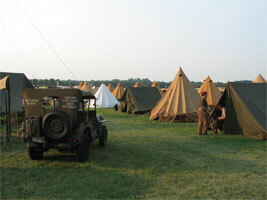 A hellishly hot day at Reading. 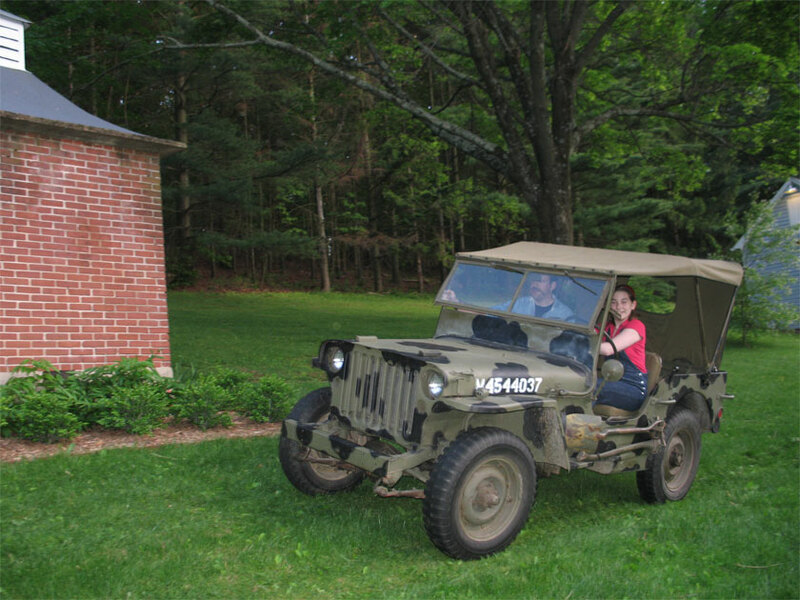 "Cousin" Sarah driving the Jeep in my yard. 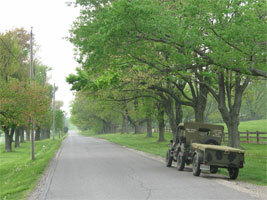 the Pacific in Battery D from '43 to '45.